If you want to make a strong statement – wear leather pants. They catch everyone’s attention and while wearing leather pants will make you fab, you should consider what type of leather pants you will be getting which will complement some of the pieces you already have in your wardrobe. Choose a pair of leather pants with a trim and design to fit your figure – something that will fit your complexion – something that will complement your favorite tops and shoes to accomplish an easy stylish ensemble. Leather pants can be very versatile, even if sometimes they can be unforgiving and a bit tight. If that happens, try wearing your leather pants with textures and shapes. You can also match your leather pants with a trench coat and leopard prints to make a bold statement. If you want more conservative look combine them with simple tops. 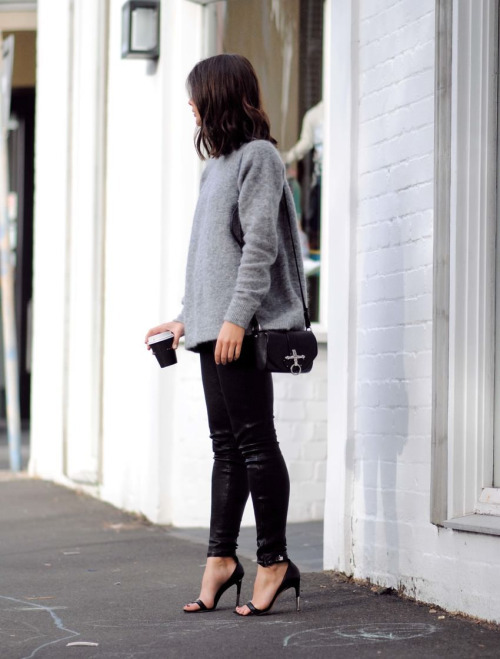 Take a look at the following 20 Outfit Ideas that will make you want a pair of leather pants this fall.